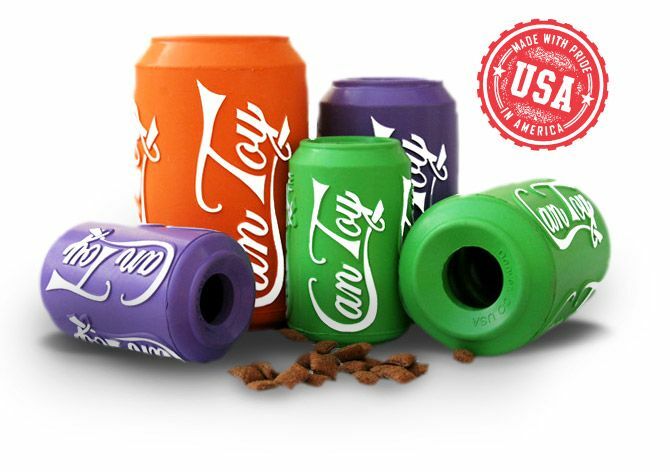 Can Toys are made from our proprietary natural rubber compound that finds the perfect balance between durability and chewability. 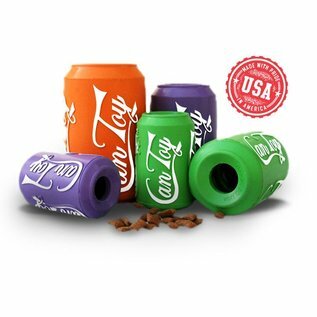 It is made from a sustainable, non-toxic and biodegradable natural material. Can Toys are designed to be a fun and tantalizing puzzle for your pooch and have openings on each end where you can insert treats like kibble, canned dog food, peanut butter, or your favorite dog treat recipe. 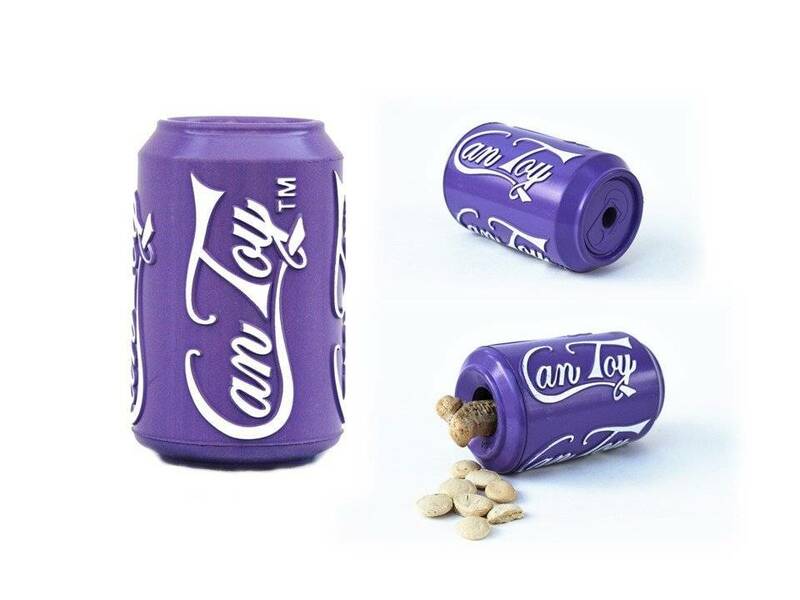 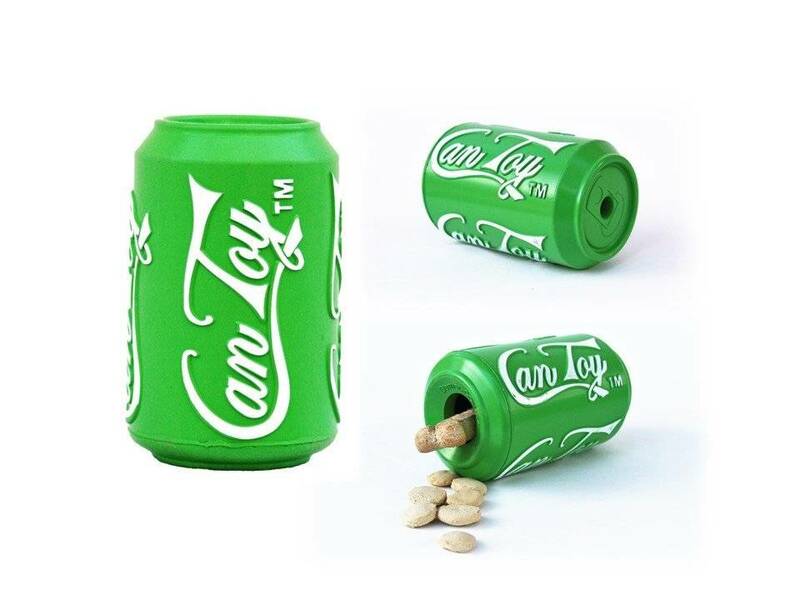 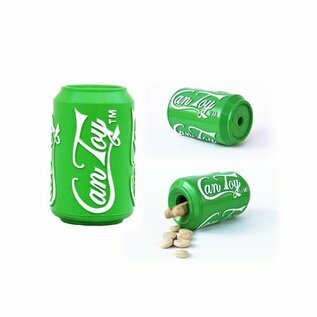 While no dog toy is indestructible, the Can Toy's thick-walled construction has been tooth tested and holds up to the strongest chompers. 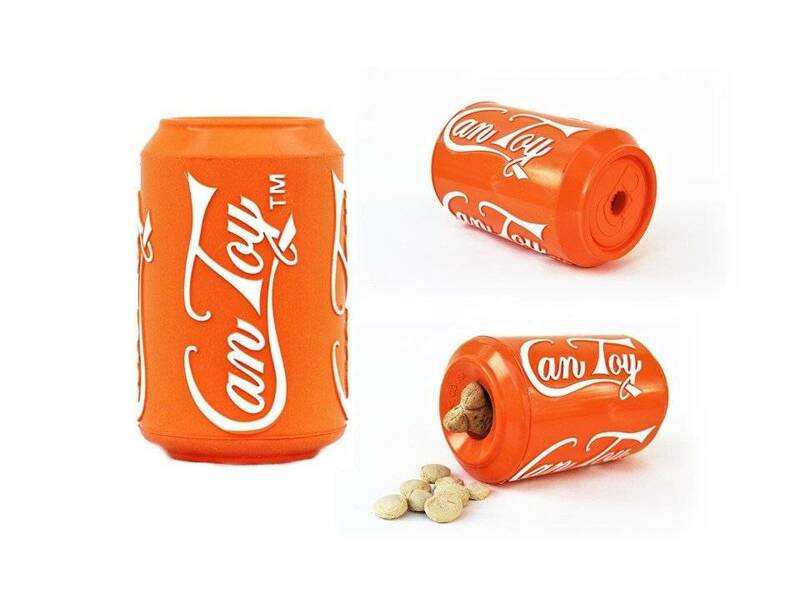 Help your dog fight boredom with this fun new toy.